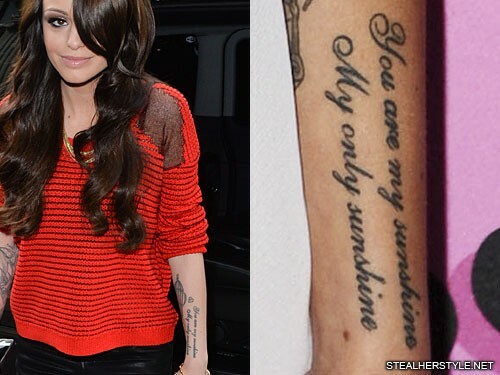 Cher Lloyd has the lyrics “You are my sunshine, My only sunshine” tattooed on her left forearm. 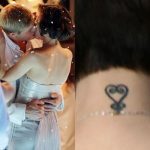 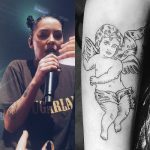 We believe that this tattoo is for her husband (boyfriend at the time) Craig Monk, to whom she tweeted these lyrics a few months later. 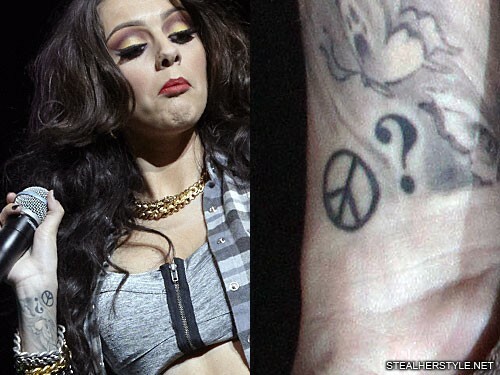 Along with the lyrics, she also got a little heart right above it with a letter “C” for Craig. 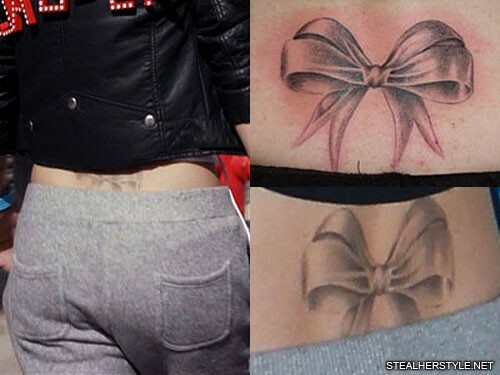 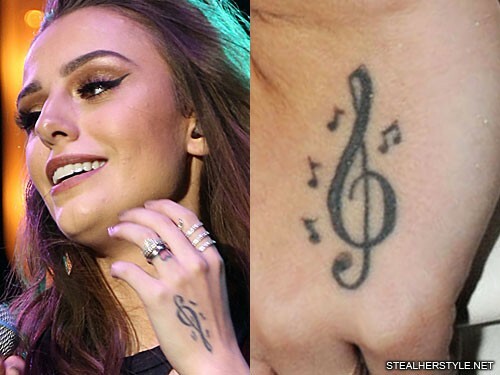 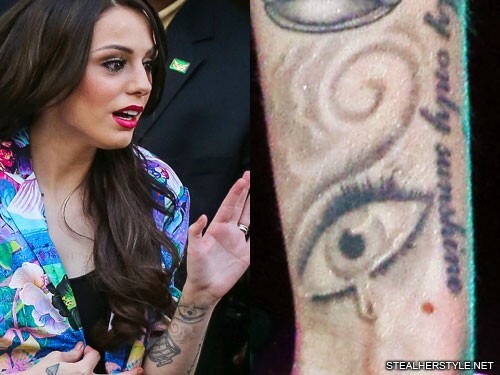 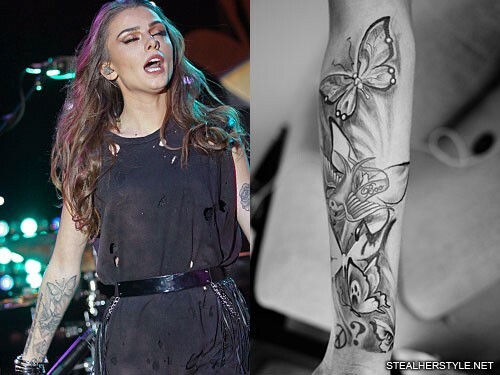 Cher Lloyd’s very first tattoo was a treble clef surrounded by tiny music notes. 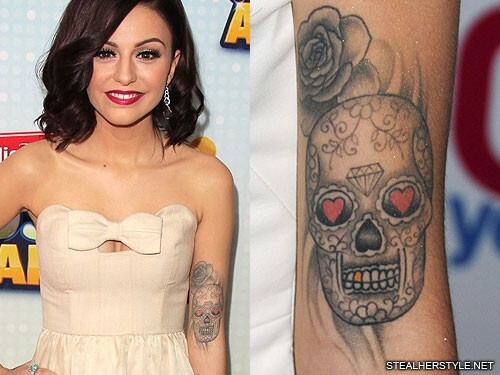 She got the tattoo on the back of her right hand on her 16th birthday. 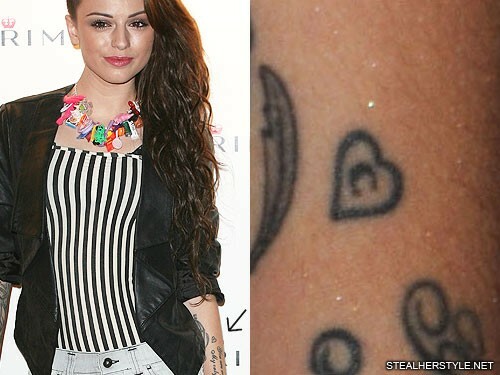 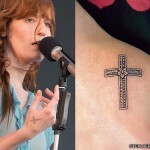 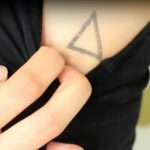 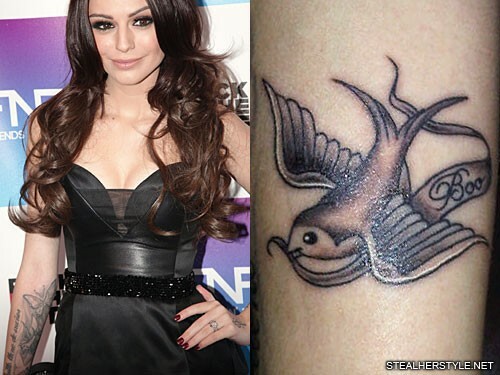 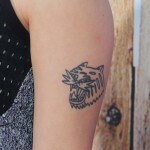 The placement of this tattoo is similar to her X-Factor mentor Cheryl Cole‘s tribal hand tattoo.